Easily combinable with other intercom components on the aircraft, the EB3100 external box includes an integral headset and microphone amplifier with direct volume control on the front panel and ideally completes DVCS6100 installations. 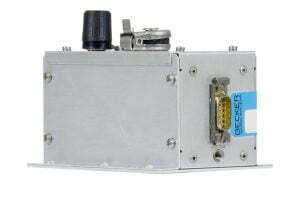 The Becker EB3100 External Jack Box is intended to be used in conjunction with main units of the DVCS6100 Digital Voice Communication System. Equipped with a microphone amplifier module and a headphone amplifier/voltage regulator module, the EB3100 provides direct volume control and headset jack sockets on the front panel.